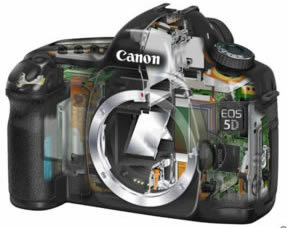 Steve enjoys photography as a hobby, and is very lucky to have a very fine, high quality Digital SLR, the Canon EOS 5D. See StevesPhotos.org. Steve also presents his photos, especially newer ones, on several commercial photo hosting sites, including Amazon and The Google. After 3 previous digital cameras, including most recently a Canon EOS 10D, Steve was thrilled to finally have a digital SLR that seems to outperform even the best 35mm film cameras in every way, including resolution. 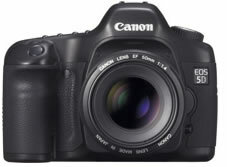 At 12.8 megapixels this camera is suitable for high end, professional use. This camera, shown in the photos on this page, has a full frame sensor that is the same size as a 35mm film frame. 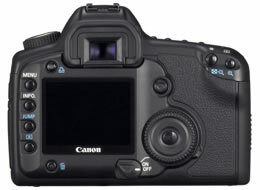 The full frame sensor means that lenses used on this camera have the same focal length as they would on a film type SLR. 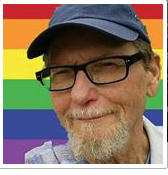 Steve started with photography many years ago using a Canon film 35mm SLR. Later he switched to a Nikon Coolpix 900. Steve's second digital camera was a Casio (not shown) and then he returned to Canon with his first digital SLR, a Canon EOS 10D. There are photos taken with each of these cameras on Steve's Photos. You are more than welcome to browse the site. Steve's Photos is open 24 hours a day.